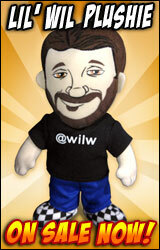 A virtual bookshelf of everything released by actor, author, and geek Wil Wheaton. Like the audio version of Just A Geek, this is a super-annotated edition, filled with tons of what I call "audio footnotes" for lack of a less stupid-sounding term. I hope we've created something that's more like sitting down in a room with me while I tell you stories, than it is a typical audiobook. I don't think a traditional publisher would let me get away with doing it this way, which is a big reason I do these things on my own. If you've ever heard me perform my work at a show, or listened to any of my podcasts, you should have some idea of what you're getting into. Hi there, and welcome to my virtual bookshelf, where you'll find descriptions, art work, reviews, and links to purchase all of my books in one nifty location. Thanks for dropping by! If you have any questions about my work, feel free to contact me. For everyone going to see the special screenings of these classic episodes of Star Trek: The Next Generation, here are Where No One Has Gone Before, and Datalore excerpted in their entirety from Memories of the Future, Volume One. This is released under Creative Commons Attribution-Non-Commercial-ShareAlike license; please share and remix it as you wish under the terms of that license. My eBook titles are now available in the NOOK store! Buy Memories of the Future Volume One for the Nook. Buy Sunken Treasure for the Nook. Buy The Day After and Other Stories for the Nook. Buy Hunter for the Nook. These are all DRM-free, and are priced exactly the same as their Kindle counterparts. "There is a monster in my closet. It’s standing in there behind my clothes, and it wants to come out. I don’t know where it came from, I don’t know how it got in there, but I know that it’s been there for a long time, waiting. "Mum and dad don’t believe in monsters (and until yesterday, neither did I), but during dinner tonight, I had to tell them." Just in time for Halloween, I wrote one of those short, scary stories that I would have enjoyed when I was in middle school. It's online at my blog, but I made ePub and Kindle versions for those of you who prefer to read on an eReader. It's DRM-free, because DRM makes me stabby. In The Day After and Other Stories, Author Wil Wheaton explores the tenuous bonds that hold us all together. Also, there's zombies. The Day After - Tim is an angry and scared 18 year-old, trying to decide if surviving the zombie apocalypse is worth it. Room 302 - Something is very wrong with this picture. The Language Barrier - Sometimes it takes someone who doesn't speak your language to fully understand you. Poor Places - Eddie used to be somebody, but now he's a guy who plays poker and takes a lot of pills. You can grab your own copy in the Kindle store. Kindle readers! You can get your very own DRM-free copies of Sunken Treasure and Hunter directly from the Kindle store. Sunken Treasure is $2.99, and Hunter is 99 cents. Hunter is a short story, just about 2500 words. I figure that's about the length of a story you'd read in a magazine, but I'm not really sure what the appropriate cost is, so I'm experimenting with the Pay What You Want model that seems to be working really well for a lot of artists I respect and admire. If I sold it to a magazine, I'd probably get around $125 or so (assuming I could get the SFWA professional rate of five cents a word. I figure that at least 125 people will want to read this, so if all of them donated a dollar, I'd feel really good about this, and I'd be able to do it again in the future. So here's what you do: click this big ugly button and decide what you want to pay for this story. Then, choose your format and download it. Or, download it, read it, and then decide what you want to pay; it's entirely up to you. I just ask that, if you like it, you tell your friends about it. If you prefer to use Google Checkout, you can do that, but it won't let me set up a pay-what-you-want button, so I set it at $2.00, which is right in the middle of what people seem to be paying for this story. READ THIS BECAUSE IT'S IMPORTANT: After you've decided what you wish to pay (from the low, low price of FREE to one billion dollars in pure diamonds), choose the format you want by clicking on one of the links below. Your download should begin automatically. Some mobile users may have trouble. I'm trying to fix the issue, but until it's resolved, you should be able to get a copy from any non-mobile browser. I apologize for the inconvenience. Hunter is available in DRM-free .mobi format for Kindle, .epub for other eReaders, and .pdf format for printing. Hunter is released under the Creative Commons Attribution-Non-Commercial-ShareAlike 3.0 license. I'd love to hear your feedback. If you'd like to comment about Hunter, you can do that on the Hunter post at my blog. tl;dr: The Day After And Other Stories is once again available for download. It's $4.99 at Lulu. Yay! In December of last year, I released a very short collection of very short stories for a very short time - just ten days, actually - as an experiment in releasing short fiction. It sold fairly well, wildly exceeding my expectations. I got very good feedback from readers, but I'd committed to pulling it off the shelf in its print version at the end of ten days, so that's what I did. I'd always planned to keep the eBook version on sale, but I got busy after I pulled the print version offline, and didn't get around to republishing just the e-version until today. So, for those of you who want to read a very short collection of very short stories for a very small price ($4.99! Cheap! ), now you can. I hope I can get this available in .mobi and .epub sooner than later, but I don't have conversion software at the moment (Clibre and Sigil barf on the .pdf, so I have to start over with a .rtf file when I have the free time). Also, because it's a FAQ: If you want to print it out and make your own book from it for your personal, non-commercial use, you have my permission to do that. "This fascinating journey is made even more intimate and fulfilling by Wil's narrative. This is not just an audio book, it's a glimpse into the psyche of the man who considers himself … Just a Geek."